As soon as you step into your full-length camouflage combat suit you’ll feel like a commando and will be ready for battle. 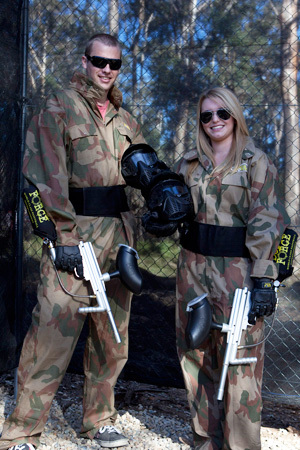 Part of the thrill of paintball is getting kitted up and donning all of the SAS-style Delta Force combat equipment. The combat suit comes complete with a padded protective collar for added comfort and safety and a fast release leg system to allow you to easily get in and out of the suit.